There’s much to admire about the men and women who work in the medical profession, and it’s easy to see why people are tempted to that kind of work. But of course, it’s one of those things that is clouded in an air of mystery. It’s hard to know exactly what you’ll be walking into if you decide to become a doctor or a nurse. Below, we take a look at ten things that you’ll need to know before taking the plunge. It’ll help demystify the profession somewhat and will hopefully make it easier to decide whether it’s the right option for you. Being a doctor or a nurse is not like other jobs. If you work in an office, then you put in a 9-5 shift, go home, and then switch off. Your work forms a big part of your life, but it doesn’t define your life. This is not the case in the medical world. When you’re a doctor or a nurse, you’re not so much choosing a profession as you are choosing a lifestyle. Because of the level of commitment and emotional investment these professions demand, they’re not even close to being considered “just another job.” It’ll form a big part of who you are for the duration of your career and beyond. You probably already understand what the medical industry is wide and far-reaching. You can break down all roles into more specific niches. You don’t have to just be “a doctor”; you can be a doctor of, say, skin. 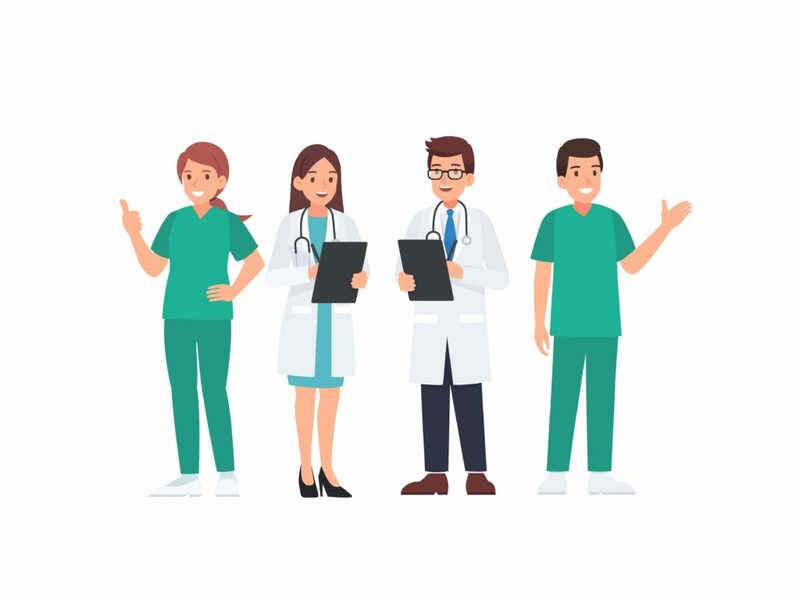 This makes the medical profession even more appealing; because it’s so varied, you’re able to find an aspect of it that you’re highly interested in. You don’t have to make this call straight away. You can wait to find something that fits. If, later on down the line, you decide that you’re less enthused about your hands-on medical role, you can also move into a more administrative position, too. In this day and age, there aren’t so many jobs that are secure. And with the rise of AI, it’s predicted that somewhere in the region of 40% of jobs might be lost. But good news: this does not apply to the medical field. It’s one of those careers that one you’re in, you can have forever. So, if you’re looking for a job that you can be certain will still be around in the decades to come, then there’s no better option than the medical profession. You’re not just making a difference to society when you’re a nurse or a doctor: you’ll also be making a difference to your bank balance. Because of how important the work, there’s a lot of money floating around the medical field. If you choose to go down this road, then your potential to earn a lot of money will be high. Do you want a job that allows you to cast off the everyday, set sail, and explore new lands? You could become an airplane pilot, but better to become a doctor or a nurse. Because these skills are so high in demand, there’s often plenty of scope to travel and work in new places. Indeed, when it comes to jobs that allow you to move to new places, there are few as good as a medical job. Even if you’re not necessarily working to undertake a new job, doctors and nurses are always needed during emergencies, which will allow you to travel to disaster areas and make a big difference to communities. Working as a nurse or a doctor is a serious task, of course, but it’s not all stern faces and stiff conduct. Quite the opposite, in fact – these jobs can be positively fun, especially when you’re working with the colleagues who will go on to become good friends of yours. And by investing in Activate scrubs, you can make sure that you’re comfortable and stylish during your shift. Though it might not seem like it from the outside, working as a doctor or a nurse can be much more comfortable and fun than, say, working in an office. You’ve got a family linked to you through blood; when you become a doctor or a nurse, you’ll be gaining another family that you’re linked to through work (and blood – but someone else’s). It’s hard to put into words the kind of bonds you’ll establish, but needless to say, they’ll be powerful. You’ll experience things together that other people couldn’t even fathom. And talking of “being unable to fathom” these experiences, through the course of your career you’ll be gaining something beyond prestige and money – story after story after story. When you work in a hospital, you’ll see just about everything – from the outright weird to the inspiring and beyond. This will make you great company at parties, as you’ll have a million and one stories to tell. You’re going to get a pretty unique insight into the human condition – and not just the physical side, either. Of course, not everything about being a doctor or a nurse is a bag of roses. There’ll be times when you want to quit, especially during the early days when you’re way out of your depth. But remember this: everyone, including the world’s most successful doctors, were out of their depth in the early days. Power on through, be patient, and eventually it’ll all begin to click. The ups and downs of medical life will define your career, but they’re a secondary concern – the main point is that your life will have a positive contribution to the world, and while times will be tough from time to time, all your efforts will be worth it. You’ll be helping and inspiring others and will live a life that you’re proud of. How can Small Businesses Improve their Credit Score?